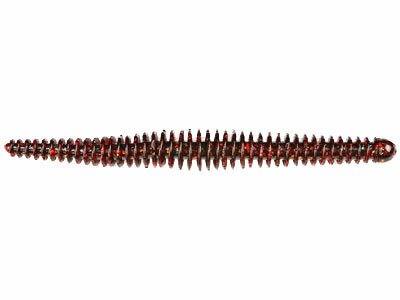 The Hag’s F6.5 Tornado is constructed in a manner to where it has an action like no other soft plastic worm. The Hag’s F6.5 Tornado has a built-in rattle chamber in the tail so that the fishermen can easily insert a rattle without damaging the worm. If this rattle chamber is left empty it will create an air pocket that will add extra buoyancy to the tail. When rigged on a Texas rig, the worm will stand completely vertical. When rigged on a Carolina rig, the worm will float up off of the bottom. This will be deadly when fishing those deep grass beds or trees. Put the Hag’s F6.5 Tornado on a shaky head and watch out! The Hag’s F6.5 Tornado uses a special formulated plastic that not only allows the worm to stand straight up and down or even float off of the bottom, but also makes it tough enough to hold up to numerous fish. A lot of competitor’s products tear up with only one fish, costing the fishermen a lot of money. 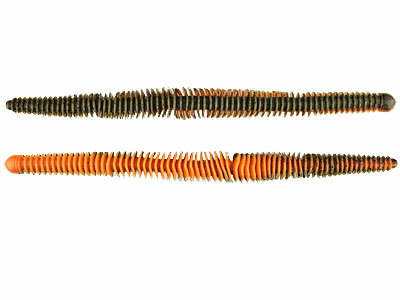 The Hag’s F6.5 Tornado are tough and you will love not having to put a new worm on each time you catch a fish. The Hag’s F6.5 Tornado worm 6.5” long. 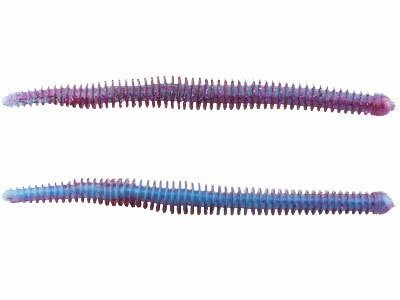 These worms are available in 30 fish catching colors. You may have never seen some of our colors, as they are my designs and have been proven to produce.